Your Brief Should Tell a Story (of Conflict). Successful trial attorneys know they’ve got to put a case before the jury that tells them a story of their client’s case and moves the jury to find for their client. Appellate lawyers may consider that simply “jury argument” that does not belong in an appellate brief. That isn’t true. While an appellate brief sent to sophisticated black-robed judges can’t borrow too heavily from the emotional opening or closing arguments made to a jury of common laypersons, appellate judges are people, too. They aren’t computers that weigh the facts and applicable case law and then score each brief, so that party with the highest score wins. Appellate courts just don’t work that way. While strong facts and law give a party a great advantage, it doesn’t guarantee a win. Persuasive argument based on strong facts and law is the key to victory. 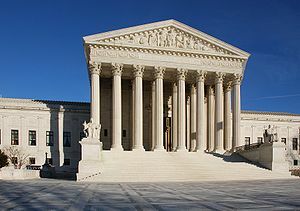 In my March 17th post about the technique of using the fiction-writing technique of “pacing”in the narrative argument of your brief, I noted that in a recent interview, Chief Justice Roberts of the United States Supreme Court commented that an appellate brief should tell a story. It’s got to be a good story. Every lawsuit is a story . . . I don’t care if it’s about a dry contract interpretation; you’ve got two people who want to accomplish something, and they’re coming together — that’s a story. And you’ve got to tell a good story . . . you want it to be a little bit of a page-turner, to have some sense of drama, some building up to the legal arguments. Justice Roberts’ advice should have you reconsider how you go about writing briefs. In your preparation for writing the brief — gameplanning as I called it in my post on April 30th — you should consider how in addition to any dry discussion of the law you can tell a compelling story that the reader wants to finish to the end and also influences the eventually decision of the court. In many instances it shouldn’t be hard. Great stories are about conflict. Sometimes the conflict is a story of man against nature or man against his inner self, but most often the conflict in a great story is about conflict between people, families or other groups, or countries. That type of conflict is inherent in a lawsuit. If there isn’t real conflict, the lawsuit probably shouldn’t have been filed. So finding the conflict is usually not difficult. It’s finding the story to tell that may pose a problem, and that story differs between the plaintiff and defendant. In litigation, the plaintiff’s lawyer is required to tell a story in which there has been trouble in the world that has affected the plaintiff adversely and is attributable to the acts of the defendant. The defendant must counter with a story in which it is claimed that nothing wrong happened to the plaintiff (or that the plaintiff’s conception of wrong does not fit the law’s definition), or, if there has been a legally cognizable wrong, then it is not the defendant’s fault. Those are the obligatory plots of the law’s adversarial process. A. Amsterdam & J. Bruner, Minding the Law 117 (Harv. U. Press 2000). If you strive to write a great appeal brief, you must be prepared to tell a story of conflict. In my next post of this series on storytelling as an appellate briefing technique, I will discuss the idea of “stock stories”and the benefit a stock story may provide when woven into your brief. In the final post on this subject, I’ll provide an example of storytelling in a winning appeal brief. I consider the story “statement of facts” to be the most important part of an appellate brief and that is where I devote most of my time. I always use headings in the statement of facts like you would chapters in a book. I try not to be argumentative in telling my story but I do use the headings in an argumentative type of way.